Ines Basic has given her first interview since she left MAFS. 1. Ines Basic just gave her first interview since leaving MAFS and there’s a lot to unpack. Following her explosive presence on Married at First Sight, early departure and mysterious disappearance from the media circuit (but not our social media feeds), Ines Basic has finally given an interview. An interview we suspect wasn’t approved even a little bit by Channel 9 publicity, but one we’re most certainly here for. Ines broke her media ban for Kyle and Jackie O this morning while the KIIS FM hosts were actually interviewing fellow contestant Martha. On hearing that Martha was hanging out with Ines (what a coincidence) they asked her to pass the phone over, resulting in a conversation in which she divulged some very interesting information. thank u to everyone who organised and came to my birfday bananza, was v v v good time ???? Jackie O started by pressing Ines on her contact with Sam Ball since filming wrapped. She went on to reveal that she had been approached to be the next Bachelorette which we honestly think would be the most terrifyingly trashy season in the show’s history, and we’re low-key bummed she turned it down. Former Gogglebox star Angie Kent has, of course, been announced as this year’s Bachelorette, and despite Ines’ convincing revelation, a Channel 10 spokesperson has denied she was ever approached, news.com.au reports. Ines has been one of this season’s most controversial contestants (which is saying a lot), after screaming at her fake husband Bronson purely for existing, striking up an affair with Sam Ball and releasing some very NSFW details about it on Instagram. We are very excited for her return to next week’s MAFS reunion episode. 2. “You need to be a bit quirky.” Exactly what Bachelorette Angie Kent is looking for in a man. We only welcomed Angie Kent to The Bachelor franchise family last week, following last month’s announcement of the new Bachelor (hot non-famous nerd), and the official start date of Bachelor in Paradise (next week). Yes – our worlds are becoming overwrought with Bachie info and are we mad? Certainly not. Because the people need details, Gogglebox star Angie has already commenced her press tour, revealing exactly what she’s looking for on her bizarre made-up game-filled journey. (Take note, men reading this). Speaking with Kyle & Jackie O this morning, Angie said “she doesn’t have a type”. “I’m not, you know, they have to be this or they have to be that. But they have to be funny. Like, you need to be a bit quirky, a bit nuts. In a good way,” she said. 3. The real reason Cyrell and Martha get into a drink-throwing fight at the MAFS reunion. With just a few episodes to go until Married at First Sight ends, there’s no denying that things are about to get very dramatic. 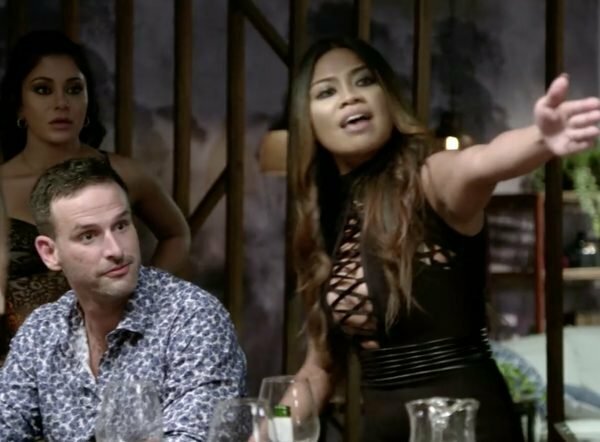 After getting involved in a physical altercation earlier in the season, Cyrell and Martha are set to get into a drink-throwing fight at the final MAFS reunion. And now it seems we know why the fight began. According to an on-set source, Cyrell and Martha&apos;s fight began over Martha&apos;s husband Michael after Cyrell accuses him of not standing up for himself. "Cyrell then throws her wine [at Martha] and all hell breaks loose," the source reportedly told New Idea. "Both women are left soaked, but Cyrell, still furious, takes off chasing Martha around the table ready for a fight. The boys have to step in to hold her back." 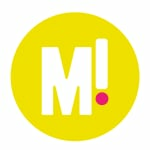 Woman&apos;s Day have also claimed that the fight began after comments were made about Martha&apos;s face, with Sam stepping in to restrain Cyrell. Either way, it&apos;s going to be tense. 4. “Check your moral compass.” Jameela Jamil has once again called out the Kardashians. The Good Place star Jameela Jamil. Source: Getty. For months, Jameela Jamil has been targeting the likes of Kim Kardashian, Iggy Azalea and Cardi B for plugging detox teas. Now, The Good Place actress has called out the Kardashians once again. Earlier this week, Kim and Khloe Kardashian defended their choice to endorse detox teas in an interview with The New York Times. "If there is work that is really easy that doesn&apos;t take away from our kids,&apos; that&apos;s like a huge priority," Kim told the publication. "If someone was faced with the same job opportunities, I think they would maybe consider." "The Kardashians need to check their moral compasses, because they appear to be broken," Jameela responded on Instagram. The Kardashians need to check their moral compasses, because they appear to be broken. ???????? This was the Kardashian response to being asked by the @nytimes about my calling for transparency and responsibility in their extensive work to promote diet culture. Khloe: “I don’t live in that negative energy space. Ninety percent of people will be really excited about the family and the journey and who we are. Khloé also added that she&apos;s never had a chef and that she shares her work outs on Snapchat, saying, "Well, listen, I am showing you what to do, silly person, 15 repetitions, three times, here’s the move…” It&apos;s not clear whether she&apos;s calling her followers or Jameela the "silly person," but either way this doesn&apos;t seem like the greatest excuse! Kim talked about the finical motivations behind some of her Insta ads, saying, “If there is work that is really easy that doesn’t take away from our kids, that’s like a huge priority, if someone was faced with the same job opportunities, I think they would maybe consider. You’re going to get backlash for almost everything so as long as you like it or believe in it or it’s worth it financially, whatever your decision may be, as long as you’re O.K. with that.” COOOOOOLUH. ???????? "Essentially, &apos;f*ck the young, impressionable people, or those struggling with eating disorders, we want the money&apos;," she continued in a post on Twitter. "I have been given these same opportunities to flog this stuff, and I don&apos;t do it, so they don&apos;t have to. Thank you, next." 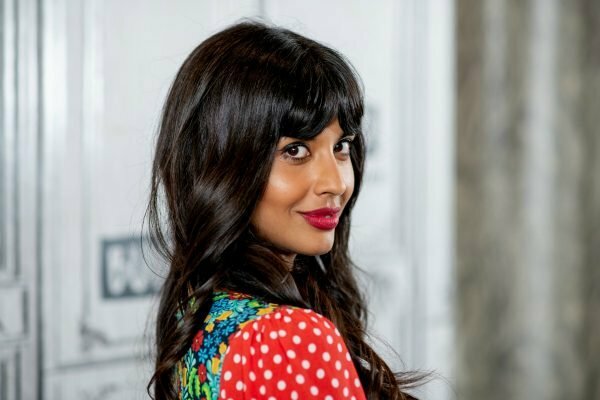 Yep, Jameela Jamil is one of our favourite women in the world right now. 5. 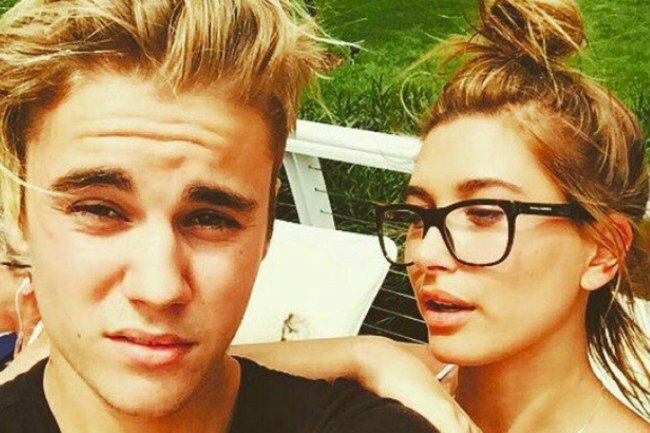 The absurdly tumultuous journey of Justin Bieber&apos;s fake pregnancy announcement. Check out our earlier story here for the full recap of Justin Bieber&apos;s bizarre prank.